February 6 - February 20: Online Event is live! Here are all of the speaker resources, so it's easy to find what you need! We live in times of intense change. Many people are feeling as if the world as we knew it has been turned on its head. It can be difficult to navigate when we are feeling this way. Mother Earth is reaching out to help us. Many people are saying that now, more than ever before, they are hearing a calling, the voice of the Divine, the voice of their intuition. And they are being asked to leave behind their old way of life and do something that is more meaningful & fulfilling: To become healers and teachers and writers and artists; to usher in the new way of living on the Earth, centered around peace, compassion, and trust. This is what we are longing for, deep in our hearts. This is the way that Mother Earth intended for us to live. But we must be open to listening. Learn about ancient practices to go deeper, discover the meaning & mystery behind your own life & our current chaotic times, heal past wounds, and awaken your deepest consciousness by connecting with the Heartbeat of Mother Earth. I am one of the expert speakers in the summit, and I don't want you to miss this FREE online speaker series airing February 6 - February 20, 2017. Study with these brilliant minds and learn the different ways that Mother Earth is reaching out to us to join in community, heal one another, nurture the planet, and open to our full potential as healers, teachers, and spiritual warriors. What is Her message to us, as humankind, her children? The Earth is communicating with us through mountains, stones, rivers; through polar bears, whales, eagles, and horses; through our intuition and our subconscious. Mother Earth is reaching out to us, for partnership, to offer guidance and support and ever-encircling protection. With this summit, I invite you to explore the idea that there may be far more to our everyday existence than meets the eye. With the Earth under seige from exploitative human activities, we as human beings are deeply affected on a physical as well as a soul level. 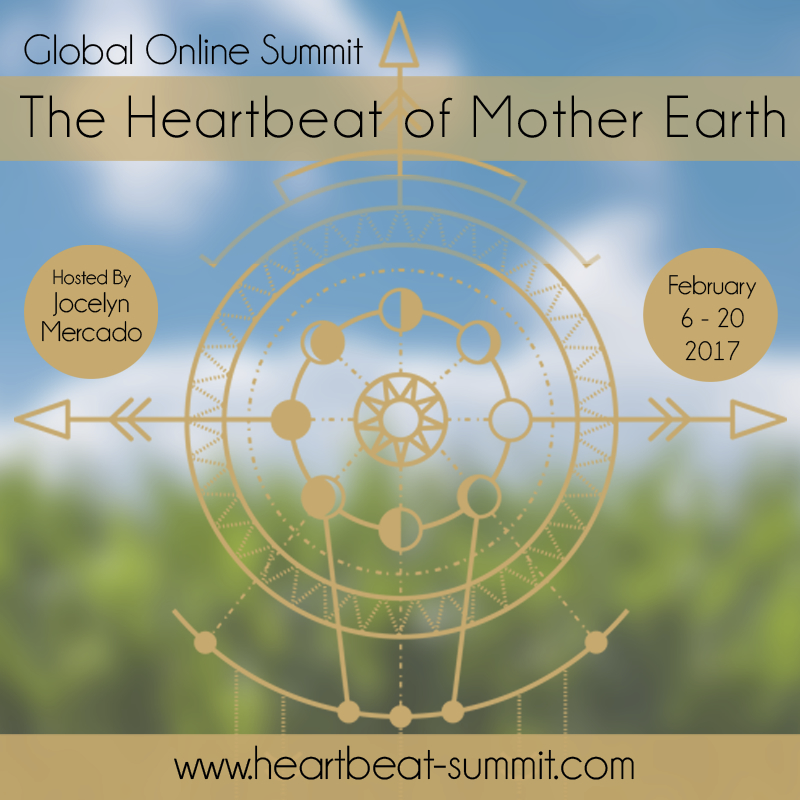 From February 6 through 20, 2017, you will have the unprecedented opportunity to listen to 36 brilliant expert speakers (scientists, shamans, mystics, psychologists, and more) share their own experiences, as well as decades of scientific research, related to our resonance with Mother Earth. I will be speaking on the Summit as well! It's important to know that we are always guided and supported. Right now is truly an amazing time to be alive, because of the capacity & potential that we have at this specific moment in history, to step out of our shadow and to create an entirely new way of living. Many people are saying that now, more than ever before, they are hearing a calling, the voice of the Divine, the voice of their intuition. They are being asked to leave behind their old way of life, and become healers and teachers and writers and artists; to usher in the new way of living on the Earth, centered around peace, compassion, and trust. This is what we are longing for, deep in our hearts. This is the way that Mother Earth intended for us to live. From February 6 through 20, 2017, you will have the unprecedented opportunity to listen to 36 brilliant expert speakers (scientists, shamans, mystics, psychologists, and more) share their own experiences, as well as decades of scientific research, on our resonance & reciprocity with Mother Earth. I will be speaking on the Summit as well! This event is free to registered attendees. If you need a different size image than posted here, please let me know by email (jocelyn@wearesacredplanet.com).